It may take a village to raise a child, but it took 6 months, several web-savvy resources, and more than a little lost sleep to raise up our website from it's prior incarnation!! is once again LIVE and STRONG!! Over the next month, we will be tweaking it around the edges - backfilling past articles and posts, adding new video from upcoming programs, and podcasts from our new radio show. Join us over there - and see what's new and exciting in our entertaining lifestyle! Pasta is such a perfect food. And this is not only because Italian blood runs through our veins,...da vero! The options are truly endless. And PERFECT for our idea of a GoodFood Gathering. Don't know about our concept of GoodFood Gatherings? This is entertaining at it's most basic - providing good food, offering something to wet the whistle, but most importantly, allowing the time to share laughs, ideas, stories and life with those who have joined at our table. For this type of entertaining, we look for those recipes that emphasize fresh, seasonal ingredients - straightforward preparation - and interesting flavor combinations from different cuisines. Take a peek at prior posts listing dozens of menu ideas to springboard your own GoodFood Gatherings. One of the easiest ways to bring summer freshness to the table for dinner guests? Pesto! A sauce originally crafted of basil and garlic in Genoa, Italy (Pesto alla Genovese), the name itself references to the "pounding" or "crushing" of herbs and other ingredients. Traditionally, pesto is made with a mortar and pestle - but it works as well in a food processor. The secret to excellent tomato sauce? According to F&38;W's Grace Parisi, the trick is starting with superlative whole (not crushed) tomatoes and simmering them with whole (not chopped) garlic cloves. The result: A classic marinara that can quickly be spun into all sorts of variations. Another exceptional interpretation of an Italian "nouvo" classic from Food & Wine Magazine. Today's Foodie's Night In program, co-hosted by The Savvy Host and Cooking with Caitlin, was dedicated to pasta. "Pasta Perfetto" covered Italian noodles from homemade recipes, to favorite sauces, to wine pairing,...ending with pasta DESSERTS! From shells to spaghetti and even farfalle, what shapes hold sauce best? Gnocchi or cavatelli? Fresh or dry? Secret ingredients or tips for making homemade pasta? Add flavor and color? Recipes? What is THE all-time best bowl of pasta you’ve had the pleasure of eating? What restaurant serves is right? Raving about risotto – What’s your favorite recipe? Is it REALLY that hard to make? 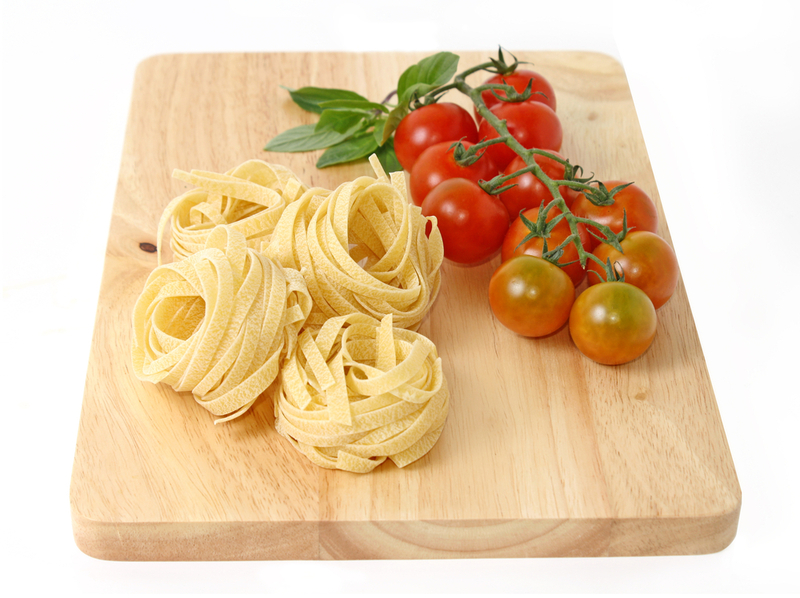 Cooking tips – al dente or “mush?” Fling the fettuccine or taste the tagliatelle – how to know when pasta’s done? Carbonara, arrabiata, puttanesca, alfredo – What’s your saucy style? Best way to season – super saucy or keep it simple? What to pour with pasta – favorite wine - champagne - beer - or other beverage? Ready to battle? What’s the BEST meatball recipe? Is your sauce homemade? Tips for doctoring up a jar? Twirling technique: Is slurping acceptable? 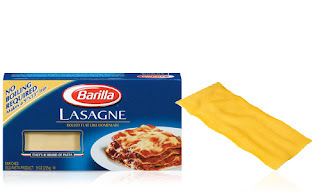 How best to get pasta into your mouth? Is a spoon necessary? Can leftover pasta come back to life? Tips for par-cooking? How to store? How to perk up? Chestnut vermicelli, rice pudding, pastira – how about pasta for dessert? CLOSING QUESTION - Use your noodle now: Name what makes pasta perfect in three words or less. ...offering a unique selection of entertaining essentials, gourmet gadgets and home decor accessories...Visit us now to see what fits your style! Eco-Entertaining: How Green is Your Coffee? A Toast To The Hosts: Organize a Drink-Themed Progressive Dinner! Are YOU a SAVVY HOST? Grab our button! ALL WRITING ON "ESSENTIALLY ENTERTAINING" IS COPYRIGHT THE SAVVY HOST LLC © 2010 UNLESS INDICATED OTHERWISE. ALL RIGHTS RESERVED.